It’s another reason why hearing loss should be treated promptly – the ‘downstream’ neural parts of the hearing system need input from the ‘upstream’ sensory parts in order to grow and stay healthy. But there is such miracle as a cochlear implantation. Both girls have an implantation on the right ear and Sofia with Polina could hear this world! 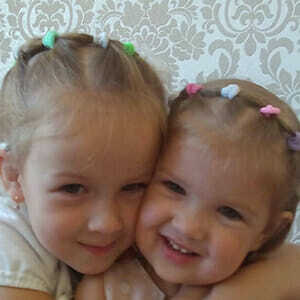 Girls are very smart, they learn to speak and try to communicate with other children. Every day without fully cochlear implantation means first of all the loss of virtually important skills. Without the ability to understand teachers and communicate with children it has become impossible. To grow up normally the girls needs an implantation on the left ear that costs 36 894 USD. Let’s help girls to hear the world!